Covington is a very family friendly community due east of Kent. Our shop is located on SE 272nd St, at the intersection of 174th St SE. 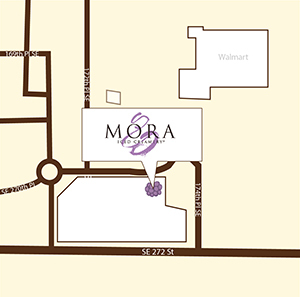 The new Mora shop is located in the heart of the rapid growth of the area and will serve the residents and visitors to Covington, Maple Valley, and surrounding towns.